Only one Smartphone Company has made a great comeback after facing so much loss and it has to be Motorola. Motorola has come a way in re-inventing itself by launching few great phones this year, they have launched the upgraded Moto G, Moto X Play and Moto X Style. This brand has used new interesting materials in its build and comes with a huge set of specifications. 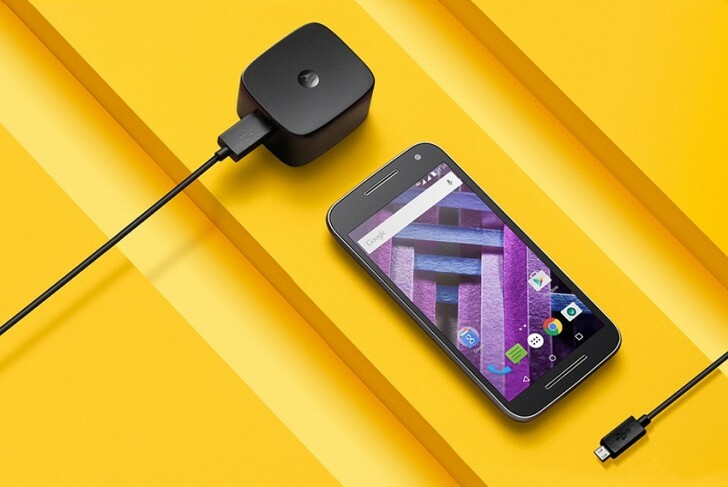 Now, they have launched the Moto G Turbo to compete with other sub $300 Android Phones available in the market. Lenovo and Asus are already doing well in this price segment and they are continuously bringing new devices to fill the space. Lenovo has recently launched the Vibe P1 and Vibe S1 in this segment both phones deliver different processor and battery specs. Lenovo Vibe P1 has snapdragon 615, 5000 mAh battery and Fingerprint as distinctive features on the other side Vibe S1 has Mediatek MT6752, 3GB RAM and Dual front camera which gives it extended photography capabilities. Right now, we will be talking about Vibe S1 and Motorola G Turbo, as people may get in a fix to purchase the best phone for them. Motorola G Turbo is an upgraded version of Moto G 3rd Gen, and powered by Snapdragon 615 instead of old Snapdragon 410. Besides that, there is no hardware or specs change. Moto G Turbo has same screen, storage, and battery as Moto G 3rd Gen.
On the other side, Lenovo Vibe S1 has latest Mediatek MT6752 which has already proved itself better than Snapdragon 615. If you leave that aside you still get full HD screen, 3GB RAM, Dual Front camera with DOF and similar battery for few extra bucks. Lenovo Vibe S1’s design is the star attraction, it doesn’t make you feel outdated or copied. Lenovo has done its best to improvise this sleek monster into a really beautiful smartphone. The brand has opted for a glass and metal in this. The curved glass is so beautifully crafted in such a way that it assures a fit in the palm. The back cover is also smooth. And the interesting and funny part is that since, it is glass it can be used as a mirror. It is 7.8 mm thick and is slimmer at sides. The capacitive keys are not backlit which is a major flaw. Motorola has made clear effort to bring some change in the design of Moto G Turbo as to set apart from Moto X, Moto G and Moto E. Lines and angles are much sharper, without adding much curvature to its shape. Bezel space is made around the display. The Moto G Turbo is slim at the edges and measures about 10 mm. It’s comfortable to hold and doesn’t feel too big. The back panel is made of plastic, is removable and swappable. There are 10 colors to choose from, which comes at an additional price. It does feel good to hold. It doesn’t make you feel like you’re holding something cheap. Motorola Moto G Turbo comes with a 5.00 inch touchscreen display with a resolution of 720 pixels by 1280 pixels. The LCD display used in this phone is extremely rich and vibrant. With 1080p resolution, the text comes out much sharper and crisper. The viewing angles are extremely good and you won’t notice any shift in the colors while tilting your head if you’re watching a movie or image. The brightness is average when you’re outdoors under direct sunlight. Lenovo Vibe S1 has a 5-inch full HD IPS LCD screen, with a density of 441 ppi which makes the level detailing fantastic and it’s nearly impossible to view with your eyes a few inches away from the screen. It’s incredibly bright and makes outdoor viewing excellent. Watching videos and movies is a pleasure even if you’re outside in direct sunlight. There is a useful feature of pocket-dial prevention mode, which prevents the screen from being unlocked when the proximity sensor senses an object in front of it. This works well and is quite handy at times. The display of Motorola has a 5.00 inch 1280×720 pixel AMOLED screen, which has a density of 294ppi. The screen produces images which are not so crisp, average color reproduction and images are soft and hazy. As I have already said, Mediatek MT6752 is a 1.7 GHz Cortex A53 with Mali-T760MP2 GPU is more powerful than a Snapdragon 615 Quad-core 1.5 GHz Cortex-A53 & quad-core 1.0 GHz Cortex-A53 paired together with Adreno 405. Both phones will do well with Multitasking and Gaming but Vibe S1 will have some extra edge when it comes to raw performance because of extra RAM. Although, Moto G Turbo will be lighter on battery and thus you will get better backup. Lenovo Vibe S1 has dual SIM connectivity with 4G on both SIMs. Unluckily, the second SIM slot is hybrid, so you will have to choose between dual SIM connectivity and expandable storage. There is no separate microSD card slot available. Even NFC, gyroscopic sensor and fast-charging is missing in this. Moto G Turbo’s Snapdragon works fine. A graphics-heavy game does run OK in this device, but doesn’t look so good. The graphics power of Moto G is a bit low than those of high-end smartphones available in the market. When it comes to camera, the specs make it clear that both phones has similar rear camera. 13MP with Dual tone Flash and Full HD video recording. Few people who have used Lenovo Vibe S1 are not too impressed with it. But Motorola Camera is better with just some minor low light focusing issue. The front camera of Lenovo Vibe S1 is very different and the main highlight of the phone are its dual camera. The 8 MP clicks pictures and 2MP is to analyze Depth of field which gives a great performance to keep you and your background in different layers and it has wonderful results. Compared to which Moto G Turbo just has a plain 5MP selfie shooter. 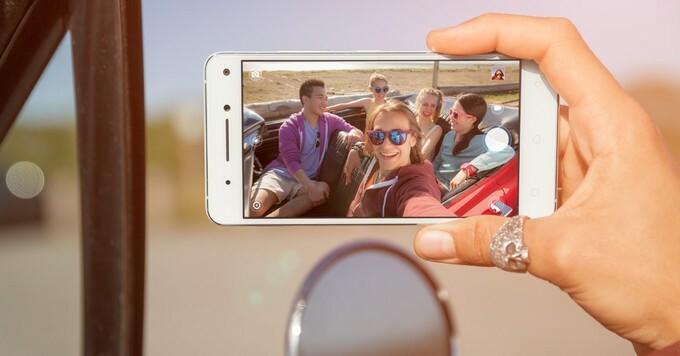 The Lenovo handset also includes several built-in photo editing tools like Blur, which lets you to refocus anywhere while taking a selfie (up to 3 focal plains) and Cut Out, which allows you to cut out people from a selfie and then impose them on another image. The rear camera is extremely fast to focus and captures images with greatest accuracy. The HDR is a strong case and the results are fabulous. Lenovo has also tried to simplify its software for an iPhone like camera experience. Controls for HDR mode, flash and camera switcher are easily usable. Filters and borders are added through the gallery, which is absent in the camera app. Switching to the front camera activates the dual camera mode. Video recording is not possible in dual-camera mode. Moto G Turbo has a really good camera at such a price point. Motorola uses a customized version of Google’s camera app, which means there’s no shutter button, you have to just tap the screen to take a picture. Make sure that you tap on a specific screen spot so as not to lead to any mishap. Settings are hidden away on the left side of the screen — just swipe inward in order to expose them. That’s where you’ll get options for things like HDR, low-light mode, flash, focus, touch-to-focus, aspect ratio and many more. By default if you’re shooting at a 16:9 aspect ratio at 4160×2340, you can change that to 4:3 if you’d like. Lenovo Vibe S1 is a 5.0 Lollipop installed device, company hasn’t declared any plan to upgrade it to latest Android 6.0 Marshmallow. Motorola G Turbo is based on Stock Android 5.1.1 and Motorola has already declared that the phone will be upgraded to Android Marshmallow, which is a great news for Moto G Turbo buyers. They plan to release the firmware on first quarter of 2016. When it comes to design, Lenovo’s own user interface is a step back from the stock Android. Stock Android is flawless when related to animations, icons, design, etc., while Lenovo’s software is a little chaotic. For example if you don’t like iOS-like multitasking feature that the phone has set as default you can change back to Lollipop. But the icons, absence of app drawer, clustered quick settings menu, the different way notifications are arranged on the lock screen, makes the software look a bit clear. All these for who prefer stock Android. If you don’t have problem with clustered user-interface and the way your apps look, then the software in Vibe S1 won’t be an issue for you. There are some bloatware and some apps can’t be installed. It also comes with a number of customization options which are significantly improving in terms of performance and resource management. An important thing to note about the Lenovo software is that the customized layer on top of the Android is cleaner. The interface in Lenovo allows control over how the phone functions. This includes particular permission controls for specific apps, improved power consumption information, gesture and quick-access controls for capturing pictures with the rear camera or unlocking the screen, battery saving modes, etc. the Secure Zone feature allows you to create a particular ‘zone’ with only few trusted apps. The user interface is impressively responsive, and you can run apps and games without facing any issue. It uses Google Chrome and Keyboard as its default Internet Browser. Lenovo Vibe S1 is a strong performer by offering a hassle-free experience while using most phone functions. The MediaTek MT6752 SoC ensures that the phone performs well while doing some graphics related tasks. Heavy games and videos ran smoothly, but faced slight heating issues while playing extensive games. The device is good with calls and mobile network hasn’t faced any problem. Audio speaker is a bit weak, but sounds better with headphones plugged in. Both have almost same battery, on paper Moto G Turbo has a Li-Ion 2470 mAh battery with Quick Change feature While Vibe S1 is equipped with a Li-Po 2420 mAh battery. Moto G Turbo has stock Android as well as lower resolution screen so you may expect a higher standby time on Moto G but still the Lithium Polymer battery on vibe s1 will run all through the day. In Lenovo, one can also extend the battery with the Super Power setting which is a like a life-saver if you’re outside home and can’t charge at that specific time. The standby time in Moto G Turbo is very impressive. Lenovo Vibe S1 has a dimension of 143.3 x 70.8 x 7.8 mm (5.64 x 2.79 x 0.31 in) and weighs 132 g (4.66 oz) which is quite sleek and light-weighted. Whereas, Moto G Turbo has a dimension of 142.1 x 72.4 x 11.6 mm (5.59 x 2.85 x 0.46 in) and weighs 155 g (5.47 oz), which makes it quite bulky. Its heavy weight is a disadvantage. 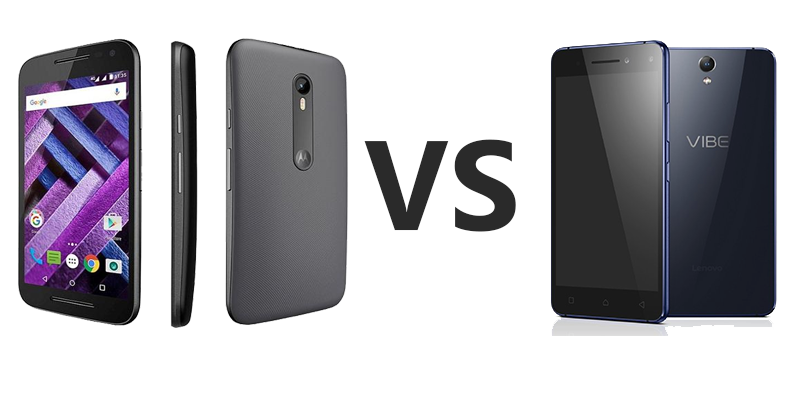 Well its lot hard to decide which phone is better for you. If you love stock Android then go for Moto G Turbo. Besides that, Lenovo Vibe UI is great and light on hardware thus you will not experience slow launcher and UI. Vibe S1 stands strong with its higher clocked CPU and GPU, 3GB RAM, Full HD screen and Dual Front Camera. It is priced a bit higher than Moto G Turbo but still worth it. When concerned about the look in Lenovo Vibe S1, it is sleek, beautiful and built keeping quality in mind. It also has an excellent screen, good performance and impressive cameras with interesting camera tricks for selfie lovers. It also has some shortcomings, such as the capacitive keys are not backlit, the appearance of the UI lacks management, the second SIM slot is hybrid and battery life is average at best. It also lacks some useful features like fast charging and gyroscopic sensor. Despite all this, the camera appeals to selfie lovers and the style is at top priority level. Moto G Turbo is a simple phone, yet stylish. It’s not too big. The textured back gives a little grip, but not that much as one could expect. It has a decent design, decent camera, water-resistant, expandable storage, supports LTE and the software is bloat-free.